I recently tracked down the brilliant Dr. Rajita Sinha, director of the Yale Stress Center, and spoke to her about what she’s working on. In this first part of our conversation, we discussed the physiology of stress and its connection to maladies, ranging from addiction to chronic disease, diabetes and obesity. Could we please get something specific?! Not a very helpful article. What kinds of cancer are caused? This isn't an article about cancer. i really enjoyed this article . I did not get much from this article. What a loser ! What an "amateurish" artcile. 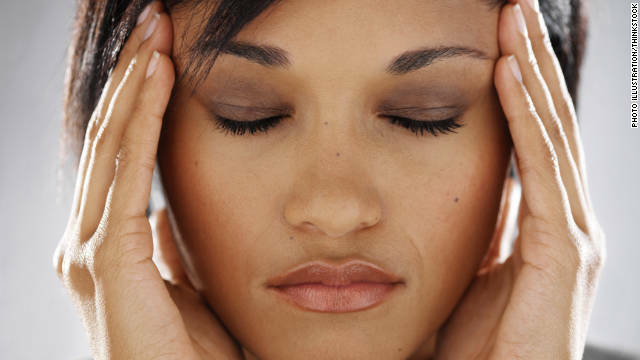 There is no proof that stress in and of itself has a direct link or any link to cancer. There was a study done some years ago that followed people that had "stressfull" events in their lives, i.e. holocaust survivors and family members who took care of family members that had cancer or other chronic diseases, and the instance of getting cancer was no different than the population at large that had not gone through with any of the events such as the ones I mentioned. No offense but I think I trust the word of the head of Yale Stress Research more than yours. Cancer starts out as an overgrowth of candida albicans... when the yeast turns fungal, it grows roots and spread itself and toxins through the bloodstream. STRESS depresses the immune system and functions, allowing this fungal overgrowth to proliferate. It wont become cancer overnight, but depending on the level of toxicity in the environment and foods and drugs you use, depends on whether it will form into cancer. Candida Albicans causes yeast infections, not cancer. Don't be silly. Dude, you lost me at "when the candida turns fungal." Candida IS a fungus. Do a little reading and critical thinking before you critique. Well said, Moto. I too am very intersted in the second part of this article. Finally, an article that speaks to an issue I have realized exists but have been unable to get answers from doctors. I look forward to the second part of the article. Don't tell the people were I work. They stress everyone out!! Semiconductor Ind, the one Obama visits. I won't let them in on the fact that you can use the correct form of words either. "were" should be "where". This is a brief article. If you are looking for something that comprehensive then read the research studies yourself. Sheesh. @researchyoursel, Thank you, I totally agree. i also give it a c- just like kimmylady said because you do not have a specific cancer. Wear out my adrenals???!!! LMAO!!! Listening to our Creator has so many benefits! Also points off for not solving the Mideast Crisis. Anyone who is interested in vastly reducing or even eliminating stress in their life should read Eckhart Tolle's books. By staying present, the mind cannot create any stress. "Stress is caused by being 'here' but wanting to be 'there', or being in the present but wanting to be in the future. To create and live with such an inner split is insane. The fact that everyone else is doing it doesn't make it any less insane." Youre so cool! I dont imagine Ive read ahintyng using this method before. And so nice to find individual with some original sentiments on this topic . realy thank you for beginning this up. this website is something that is necessary on the web, person with a little originality. Informative job for making for something new to the internet! . Okay, it's a short article. Sure. It's an interview with an expert, okay. But not a single study is actually linked or specifically cited here. A bunch of comments with no way to vet the claims is useless. Particually when you're talking about links to cancer. Back it up with your studies. They don't have to be on the webpage, but there should be a link to get to them from the webpage making the claims. I expect more from CNN. That's how you can figure out if people are trying to do you in if that's what's causing it in some cases like the slime @ #12 thinks they're trying to do. "It’s stress that is sustained, uncontrollable and overwhelming, where people can’t figure out options to solve their problems, that is damaging." I love this statement. Now apply this concept to kids in high school or younger. A theory of mine regarding the bullying epidemic in this country is that the kids that take it all the way to the extreme of suicide are suffering from a form of PTSD that is going undiagnosed. The statement above, to me, lends some credibility to my theory since PTSD (Post Traumatic Stress Disorder) is essentially caused by prolonged (or sustained) periods of traumatic or stressful things happening to us that are out of our control and are overwhelming to the point that it seems there is nothing that will ever make it better. Amanda, if you ever happen to read this – please ask Dr. Sinha about this theory of mine, or any other expert in this field. If stress in general is physiologically damaging to even adults, I can only imagine what something like years of being bullied day after day does to a kid. Thank you. You are profoundly ignorant. The stress hormone cortisol was identified and studied regarding emotional stress compiled in a series of articles in 1964, New York Academy of Science. Try reading those articles. You have nothing new, re not previously known. You may also want to look at literature evaluating mothers of children with Cystic Fibrosis, an inherited life limiting disorder where the family already knows that their children will die early in life, there will be many exacerbations of the children's respiratory illness and each one perceived as heralding the onset of a terminal event. Talk about stress and guilt and elevated stress hormones of cortisol, adrenaline, etc. life long. Now, do these parents die of early cardiovascular events? or diabetes? or cancer? No No No. Why not? Because the paradigm of stress hormone and these associated conditions is... not correct. Do these parents suffer depression? Yes, you bet! Talk about being between a rock and a hard place. Relying upon health professionals who basically say, you have to do this or that and.... in the end, you will fail, your child will die. Please Please do not do a subsequent article in this series, you are already profoundly ignorant, and it is possible, that you will say some things that will ADD to peoples' stress who are already doing the best they can. You need to experience life a little more. Perhaps if you have so much information on the effects of Cortisol, you could go to Yale and "help" this researcher. I'm sure she would love your uneducated input. Some of you think this is such a simple research area, but it is quite complex and not everyone reacts to stress in the same way. To the author of this article, thank you. You did a great job and I look forward to part 2. @RiHo08, according to your comment log, you spend most of your day going around making snarky arrogant and factually wrong comments on lots of articles, many written by experts. Aside from snark and troll, your field of expertise is what again? Because you clearly aren't capable of being an expert in so many things at once, while still spending your working day on cnn comment threads. The good news is that the simple act of walking can reduce the release of cortisol and combat the decline in cortex size, in fact studies are showing walking increases brain volume, cognition, memory, neurons and small blood vessel production. 10,000 steps a day goes a long way toward reducing stress but the average American walks less than half of that (source: University of Tennessee). I am sorry this article is so weak. Anybody can state the obvious, but getting paid to do it is really a complement to the per-son who is the expert! I wish all these type studies were done away with and we couuld really study the major diseases that cripple the human race. To much money is wasted on uselkess studies that benefit nobody. Sorry, but I am a critic!!! Poor Thurston. If you are going to cut down someone's article, please learn proper grammar and spelling. Also, stress can be a debilitating disease. Keep reading however and you may learn these things. Good luck. Poorly written article. What journalism school did you go to? With more research no stress and the effect that it can have on the human body can be demanding. As a Psychology grad student, I appreciate this article. For those of you complaining there are not enough details about such things as cancer, the article wasn't on cancer. She stated who was doing the research. If you have any formal education, you will know how to do this. You would also know how to read this article. If you're truly interested in more details, go to your local library, or college library and ask them to help you. Also to the one who said there was nothing new in this article. I would disagree, but would also state that new research is always being done to validate previous research since things to tend to change over time. I appreciate that you actually read her article. Now go look up the study. If any of you that are requesting more information, seek out "Dr. Rajita Sinha, director of the Yale Stress Center". The author of this article was interviewing this Dr. There you will find all the details you want. Do your own digging. Now that we know how, "stress hurts you physically", then "our" government should prohibit employers from creating artificial stress in the workplace, as they so often do, since it literally hurts people. Interesting how this article seemed to stress some people out (reading these comments). This article was not an abstract, rather, a brief interview with a respected expert in the area of stress science. I agree with her observations and find many of her points to be intuitive. Regarding the chicken and egg question (stress or addictive behavior first) I place my bet on stress. Having said that, I do not believe it is always the severity or amount of stressful events that can lead to addiction. Instead, I believe a person's learned coping skills and innate resiliency have a lot to do with their reactions to stressful events and environments. I find the vicious cycle of stress followed by unhealthy coping behavior to be the most prevalent and urgent concern for our nation's people. Would be nice to have some information about massage, since it has been scientifically proven to reduce stress! Dear Caria, thank you for pointing out my grammer errors to me. My intention was to say let's stop doing silly surverys about recent surveys. There are so many folks who can be helped by research dollars spent on stem cells and genetics, that would really be a wise way to help people with life threating diseases......Yep I did learn in my Business Masters Program that Stem Cells and Genetics should have capitals up front( even the generic word Genetics). This article makes absolutely no sense. What benefit does having your "adrenals" pump out glucose and insulin at the same time even have? And then you get caught in a "vicious cycle" when you can't cope with stress by drinking or smoking thus the un-coped stress causes you to relapse? Is this some highly intelligent scientist or just a hippie trying to tell me to chill out, take a breather, and spend time with my family. Not bad advice, but i do enjoy the rant :). Now, back to a more intelligent news source – fox. Caria, thank you for pointing out that my letters have poor spelling and grammer, I suppose if you go to college to long you take a lot of short cuts, Just for clarification I do have some educaatin. I am a retired Dr. specilizing in Genetic Research. That may be one way to help people through research. I am aware that stress in a major disease. One forth of all women are on a stress depresent of some type, according to an article I read yesterday, and one in ten men are as well. Excellent article. Informative, and gave me reassurance that there are healthier ways to relieve stress as long as you train yourself out of electronics and food. Love it! Great information about stress. I try to remain calm and stress free. From my personal experience, i suffer from PTSD for going on 7 years now, since going through my negative experience I have been more prone to sicknesses. Colds, headaches, & even kidney infections. It was almost instantaneously after I started Suffering from PTSD that I began becoming sick more frequently. I didn't stop taking care of myself either. It only makes sense that the stress I had been under over the years, is the reasoning for my frequent illnesses. A really good explanation about health and stress can be found in a book"The Healing Codes" by Alex Loyd. This man has done and researched stress for decades. He helped cure a doctor from ALS which is generally considered a death sentence. Most stress is totally unconscious and when it starts being addressed, your body's immune system is finally able to work like it should. But you also have to realize that pesticides, fluoridated water,lack of vit.D and many other vitamins contribute to bodily stress. A person needs to feel supported and loved to overcome PSTD and other emotional issues. True joy and health is our birthright and my wish is we all keep supporting one another in anyway possible during this time of turmoil that our country has found itself in. Many people are too busy stressing out to do research or take care of themselves . You really cannot eat most food in a grocery store without it having several chemicals added to it that your liver and kidneys must detoxify. I will stop because as one person said. "This is a complex issue." As I suggested..start with the book, and watch your nutrition. Happy Holidays! Check out this book for its wide range of research and tools that work in reducing stress and recognizing it. I have been a patient of Dr. Taebi's for some time now and I can confndeitly say that it has been one of my best doctor experiences. The efficiency of the treatments is just one of the many positive aspects of the experience. I was able to see and feel the difference in myself immediately, and my growth of peace and happiness has not stopped. The genuine care that Dr. Taebi shows toward his patients is not a common quality in most health care interactions these days. It is great to have someone so generous and thoughtful to help me handle life's ups and downs. "Animal studies" what kind of animal studies?? Obviously, this being about stress,you did things to stress out poor defenseless animals just to get some information that is fairly obvious [that stressing out is not a good thing]! We are beyond this archaic act and better than to torture. How aboutwe test how you, brilliant Dr. Rajita Sinha, be the test subject? Animals are not people. let themlive and let be, not torture and test on them. Whats up very nice website!! Guy .. Beautiful .. Amazing .. I will bookmark your website and take the feeds additionally?I am glad to find so many useful information here in the put up, we'd like develop extra strategies on this regard, thanks for sharing. . . . . .